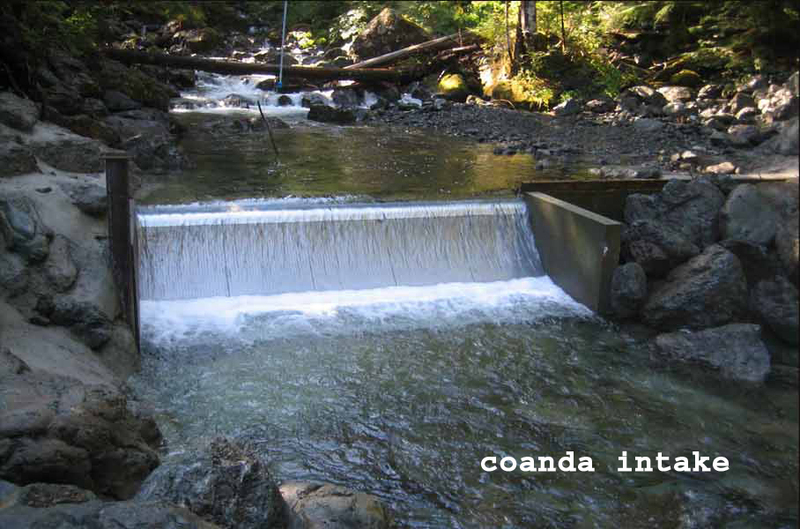 "Hydropower consumes no natural resources, produces no emissions, and creates zero waste ." 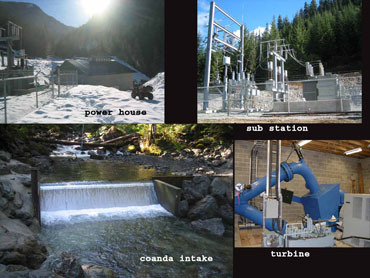 The Sutton hydroelectric project, located in British Columbia, is a good example of a mid-sized Streaming (Run of River) hydropower system. 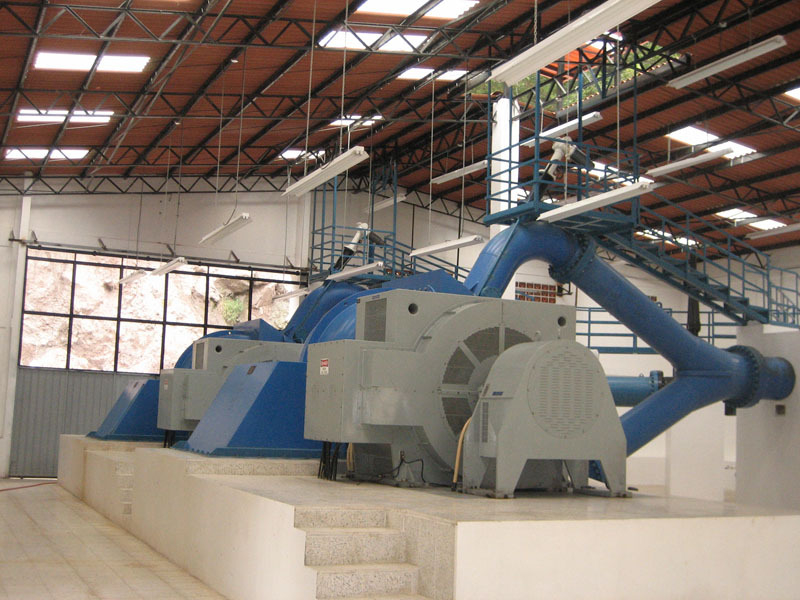 The system produces about 5,400 Kw of electricity and connects directly to the grid. 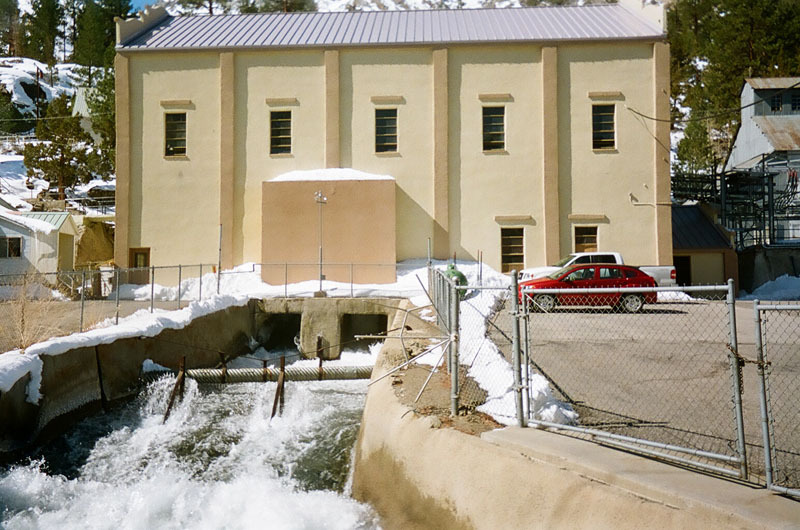 The photos show the powerhouse, which houses the turbine and generator. 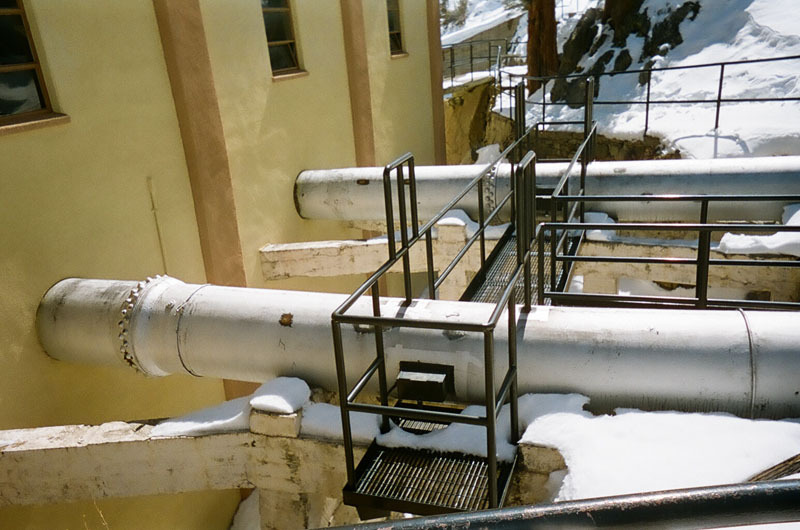 Also shown is the intake system, where a portion of the water is diverted into a pipeline (not shown) that runs down the hill to the powerhouse. 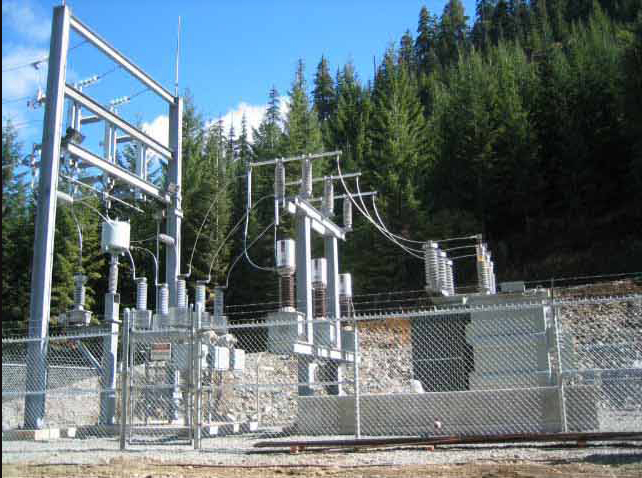 The substation provides the connection to the electrical grid. 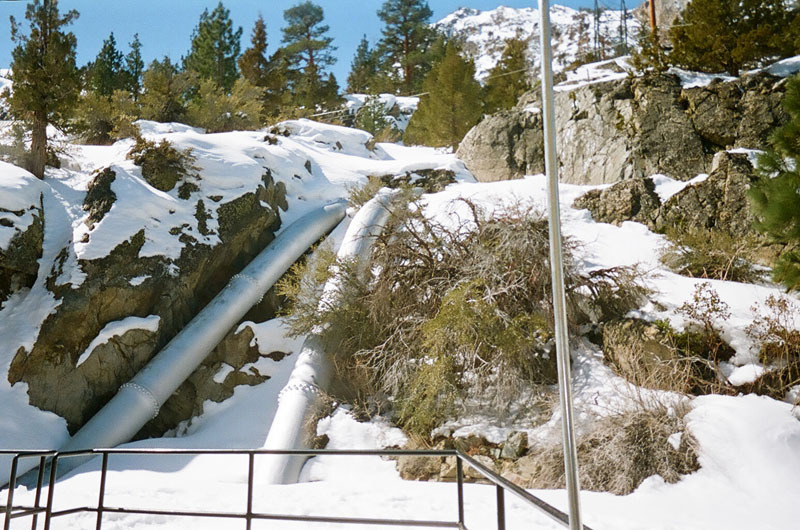 The Rush Creek project is located in California within the Sierra Nevada mountain range. 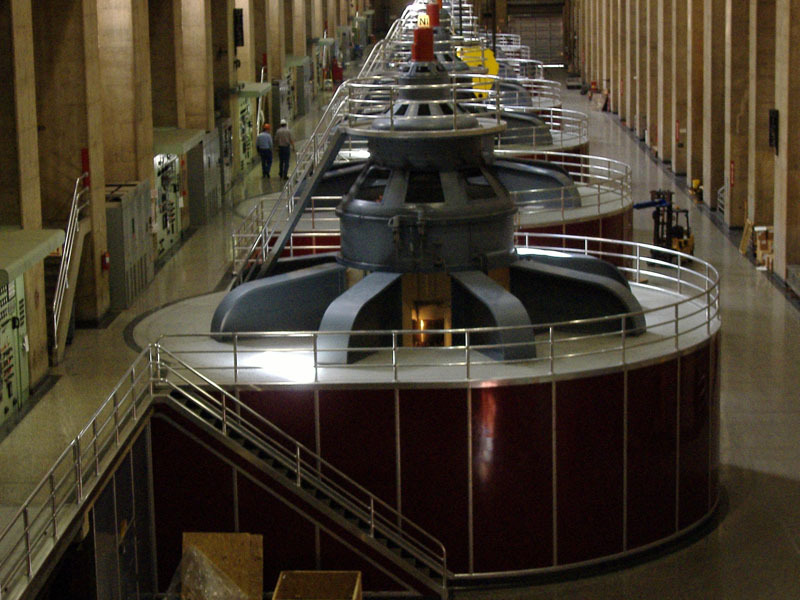 Completed in 1917, the plant currently produces about 8.4MW and is operated by Southern California Edison. 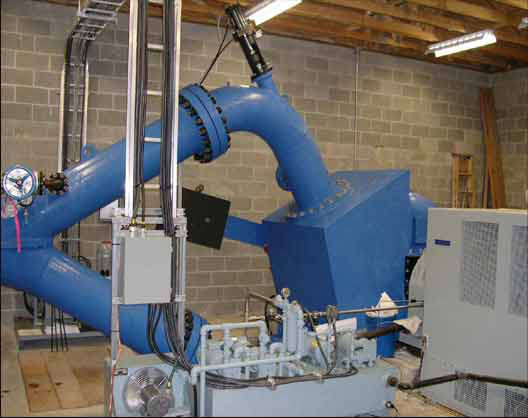 Two penstocks feed twin turbines in the powerhouse, each producing about 4MW. 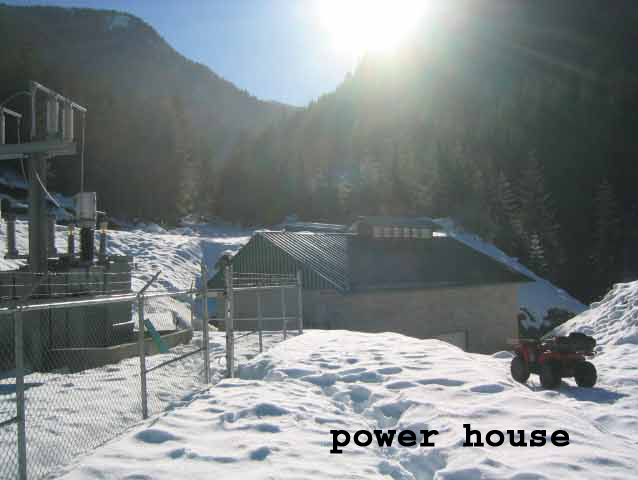 This relatively small off-grid system produces about 25 Kw, enough for one or two homes. 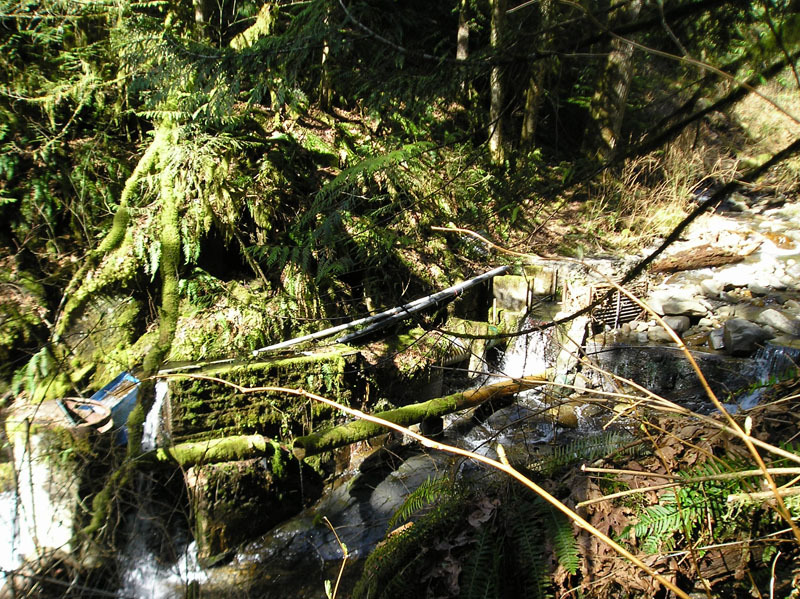 Located in Washington State, the diversion and pipeline are about 40 years old. 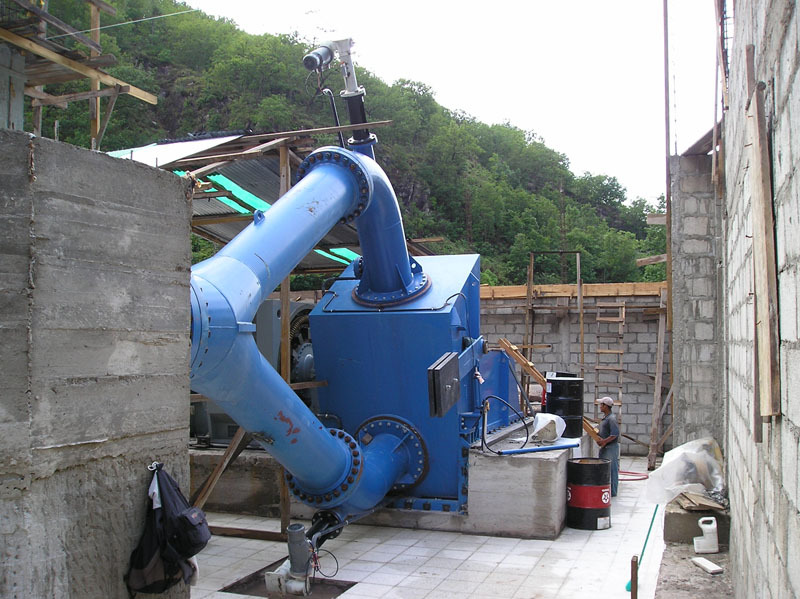 Streaming hydropower systems such as this tend to blend into their surroundings over time, delivering years of renewable power production with zero fuel costs and extremely low environmental impact. 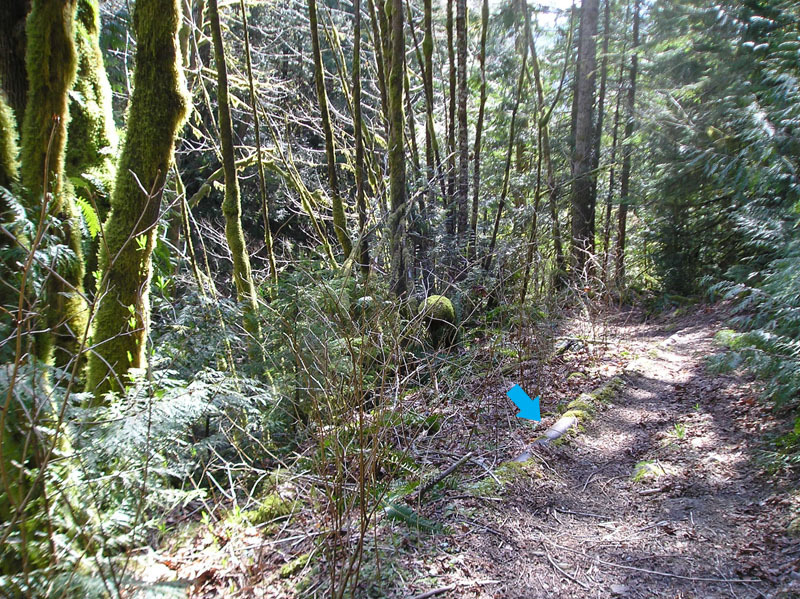 The top two photos show the pipeline (arrows), bearing a close resemblance to the logs around it. 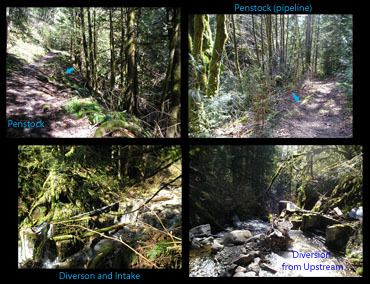 The bottom photos show the diversion and pipeline intake. 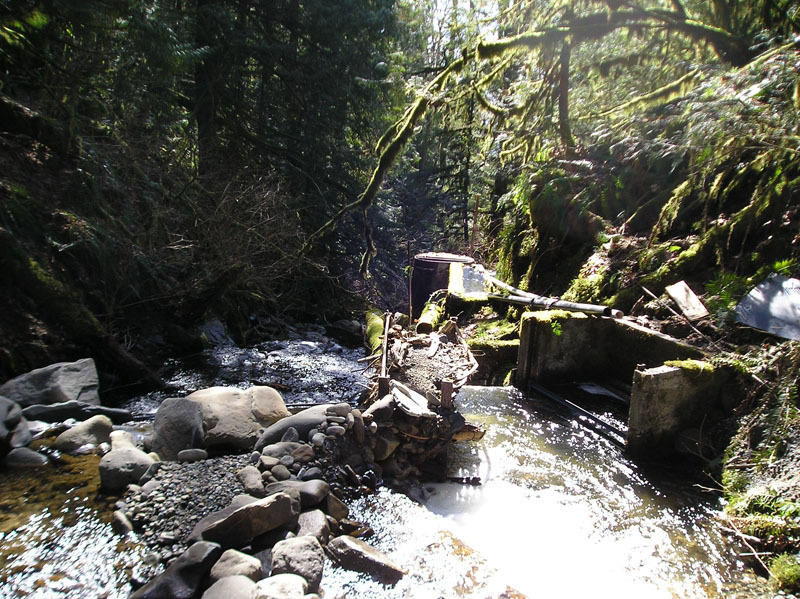 Notice only a small portion of the stream's water is used. 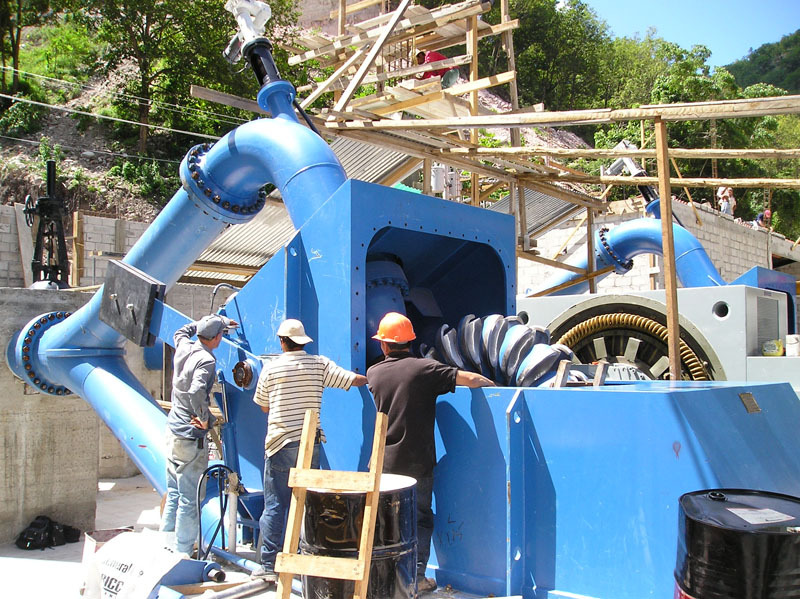 The water turbine is the heart of a waterpower system, where energy from flowing water is converted to a rotating shaft that drives an electrical generator. 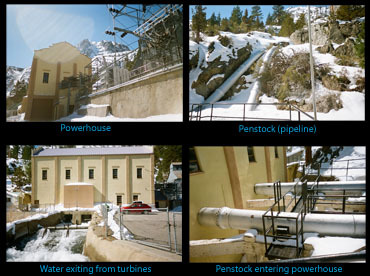 The upper left photo shows the inside of a relatively small hydro powerhouse. 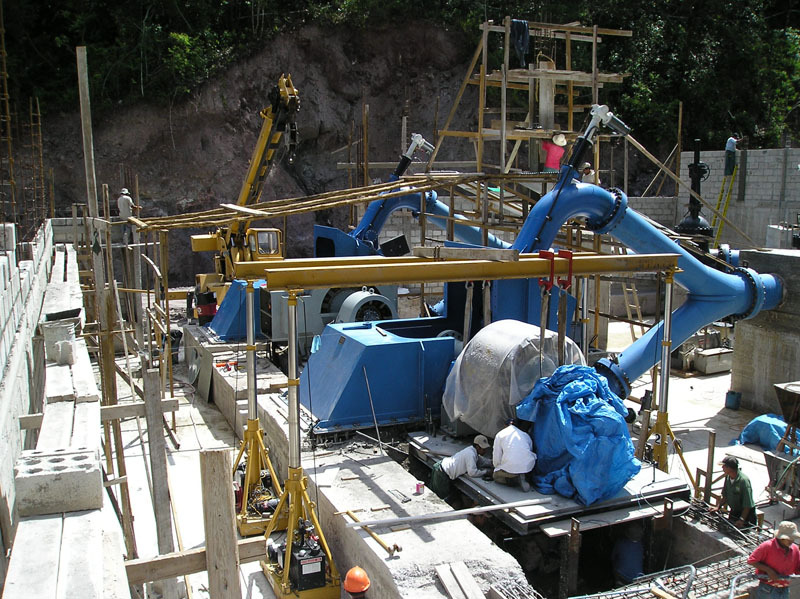 The silver pipe attaching to the blue turbine provides the water from the diversion upstream. 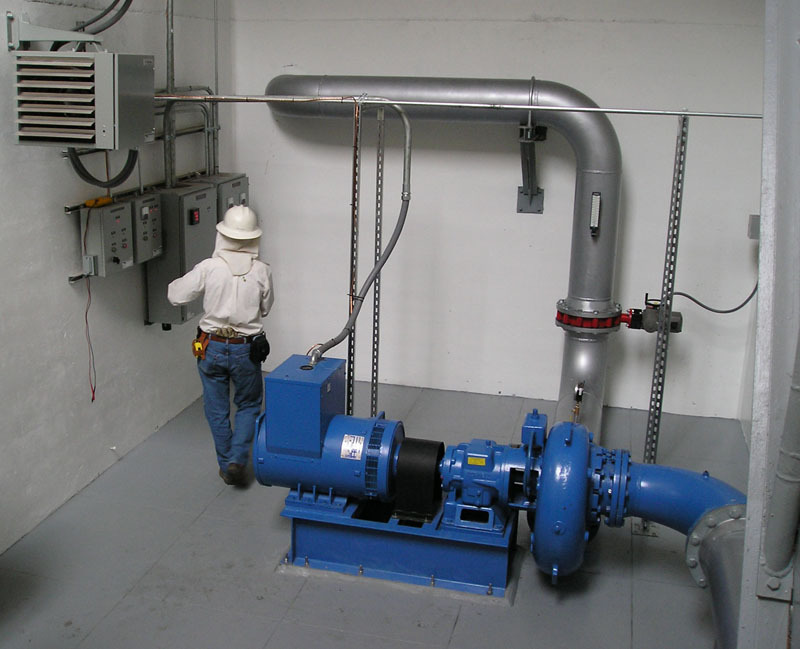 The shaft from the turbine connects to the generator on the left (also blue). 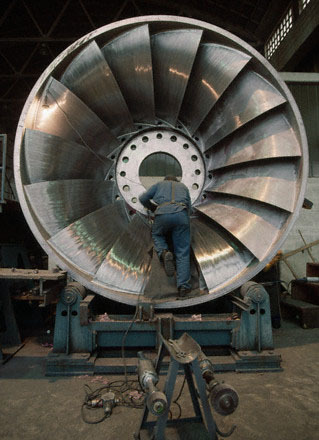 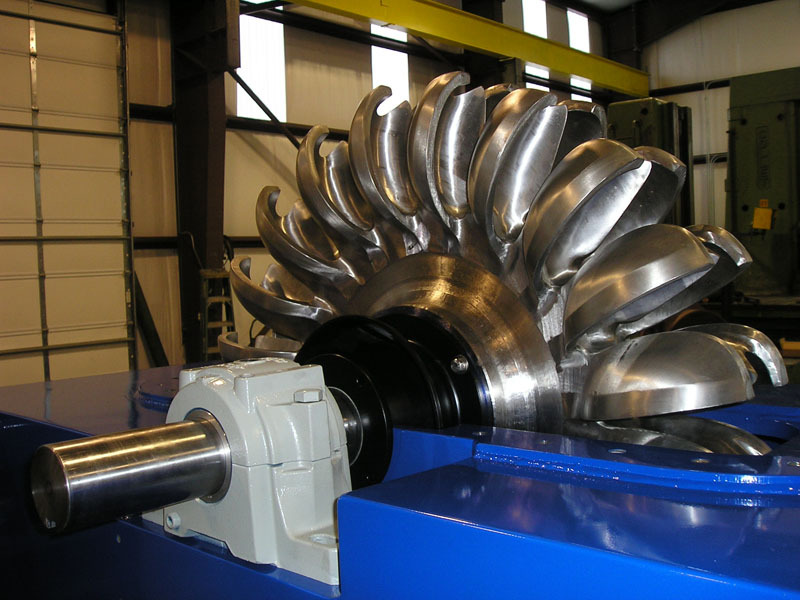 Larger Pelton-type turbine runners are shown at the bottom left, which are designed for higher-output systems. 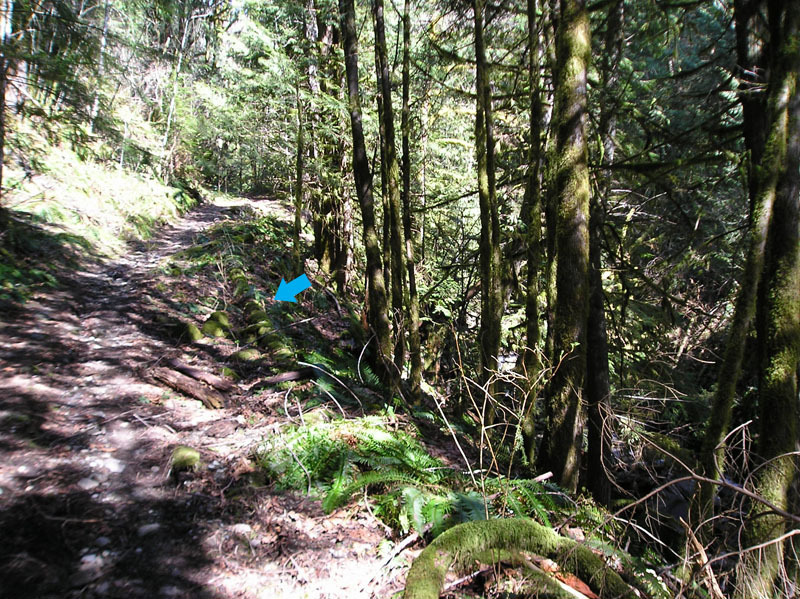 In operation, these runners are fully enclosed, similar to the top photo. 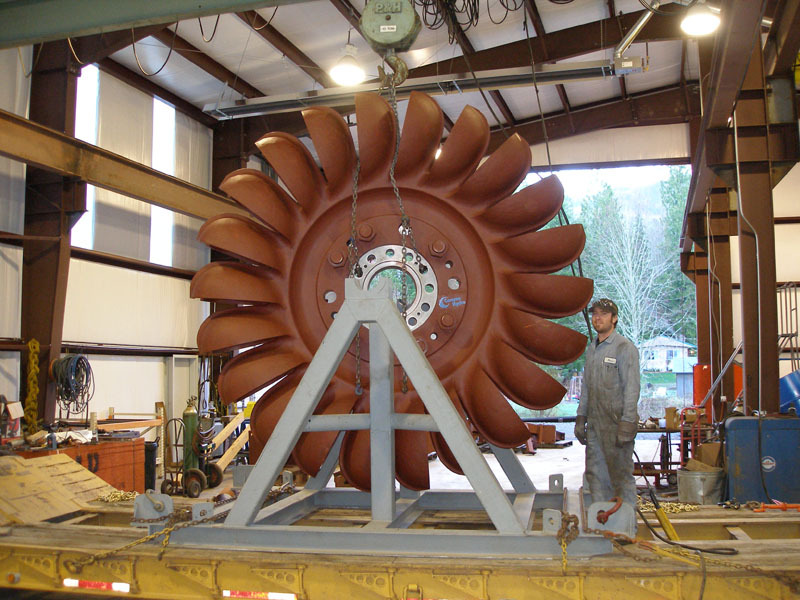 The top right photo shows a very large Francis-type turbine runner, typically used in large reservoir (dam) hydroelectric systems. 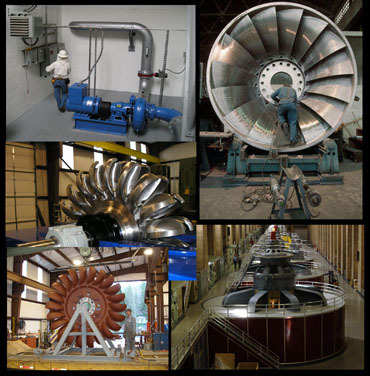 The bottom right photo shows the row of turbines used at Hoover Dam, a 2,800 megawatt facility in Nevada. 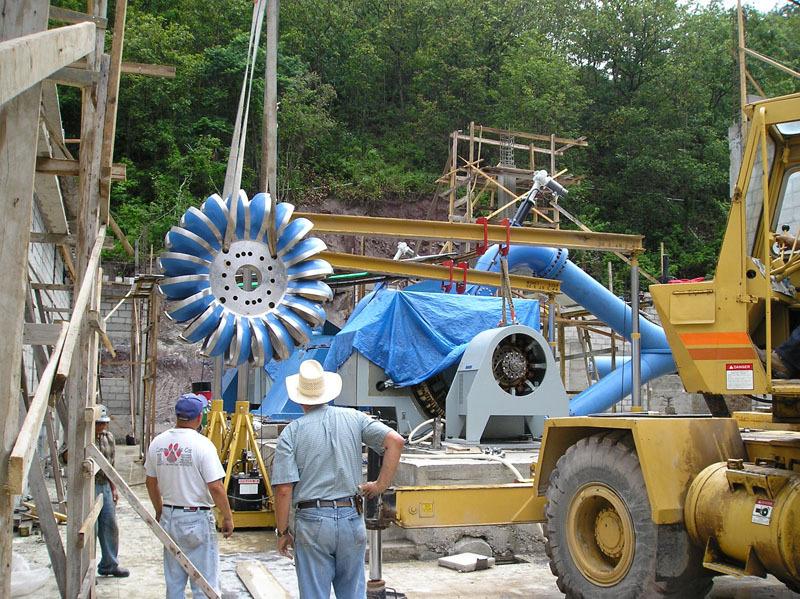 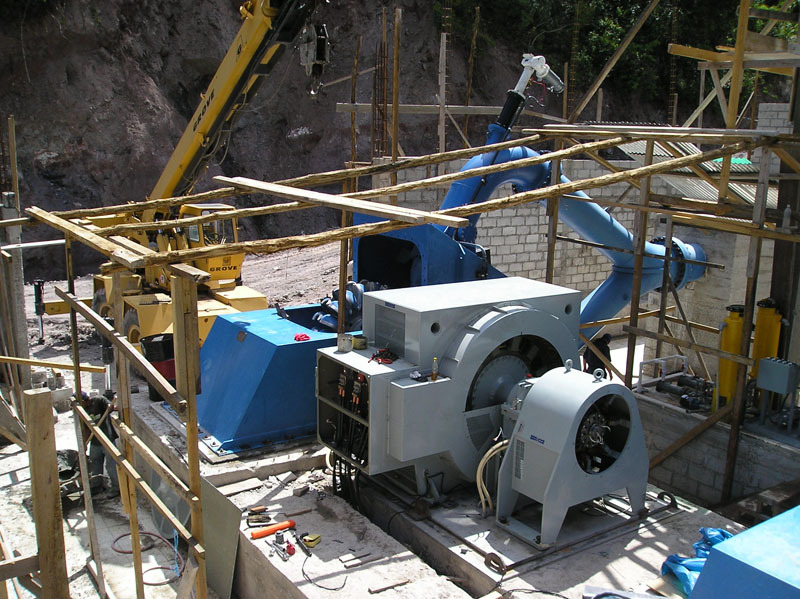 Located in Honduras, the La Esperanza hydropower project uses twin Pelton turbines to produce 12,000 Kw. 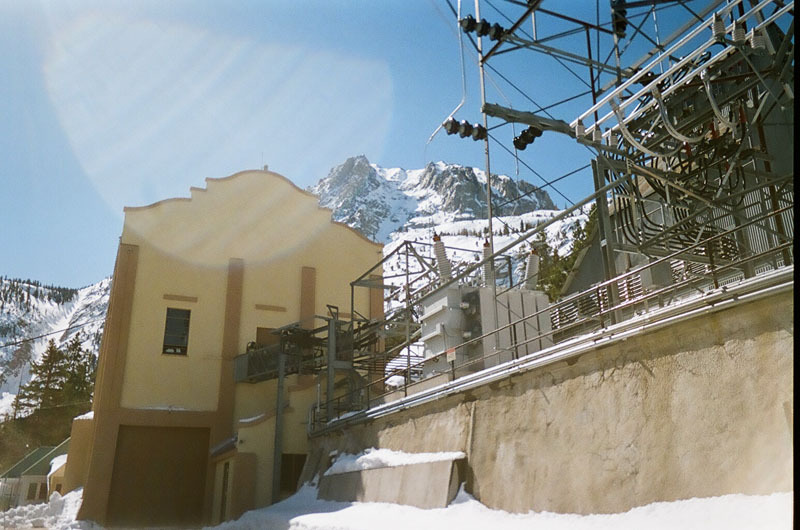 These photos show the powerhouse during the construction phase. 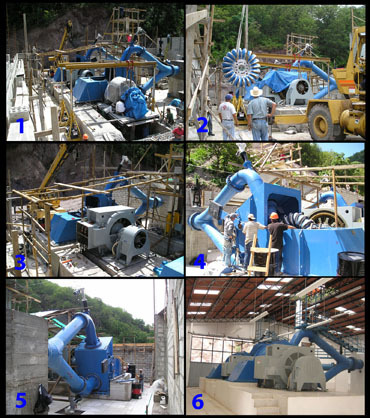 The photo at bottom right shows the inside of the competed, operating powerhouse.